Thousands of young people participate in sports activities every year, gaining valuable skills in teamwork and competition. 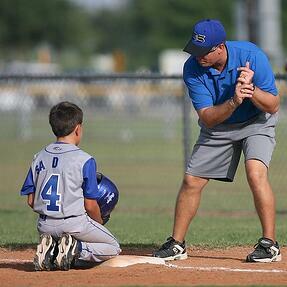 Unfortunately, abuse scandals in youth sports have become more prevalent in the last few years. Larry Nassar, a doctor who worked with Olympic gymnasts, was recently sentenced to 175 years in jail for decades of sexual abuse of his patients. While this scandal has gotten much of the news coverage, there are other tragic stories from the USA Swimming and USA Taekwondo organizations. These stories are heartbreaking; young athletes deserve to be safe while training and competing. Last year, as the Nassar scandal was unfolding, Congress took notice and passed the Protecting Young Victims from Sexual Abuse and Safe Sport Authorization Act of 2017 (otherwise known as the Safe Sport Act). The bill includes new protections for young athletes. Organizations providing youth sports activities should note the new requirements in the law and ensure they are complying to keep their athletes safe. Who is Impacted by the Safe Sport Act? The law clearly applies to all the national governing bodies for sports, for example USA Gymnastics or USA Swimming, as they participate in interstate and international competition. However, even organizations that do not participate at this level are still impacted by the requirements of the Safe Sport Act. The Act creates a “standard of care” that should be followed by all youth sports organizations. The law extends mandatory reporting of abuse to each “covered individual” which has been interpreted as an adult authorized to interact with minor or amateur athletes. Coaches, team doctors, and most other adults affiliated with a youth sports team would all fall under this definition. If these individuals suspect abuse, they are now mandated to make a report to law enforcement and (if they are a national governing body) to the US Center for Safe Sport. 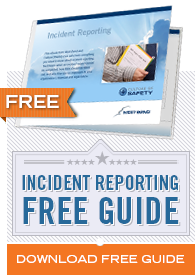 Organizations must also be aware of any mandated reporting laws for their individual states. Essentially, if a state does not already have a mandated reporting law that applies to coaches and other adults working with young athletes, this new federal law does. All youth sports organizations are now required to provide training regarding abuse prevention and reporting to all adults who are in contact with minors. Abuse prevention training includes more than just signs of child abuse. It must also include things that put children at risk of being abused (one-on-one interactions) and how to recognize grooming and other problematic behaviors. This may be the most significant part of the law and the part that will hopefully prevent future tragedies. Organizations should also put in place policies and procedures that will limit the potential for abuse to occur. The law states that organizations should “establish reasonable procedures to limit one-on-one interactions between an amateur athlete who is a minor and an adult … without being in an observable and interruptible distance from another adult, …” It’s clear in many cases that for abuse to occur, predators need one-on-one access to children. While the law doesn’t provide much more specific direction beyond limiting one-on-one interactions, organizations can and should draft other policies that will keep children safe and encourage adults to report any suspicious or grooming behaviors.